This film was conceived as a collaboration between a filmmaker and a writer. 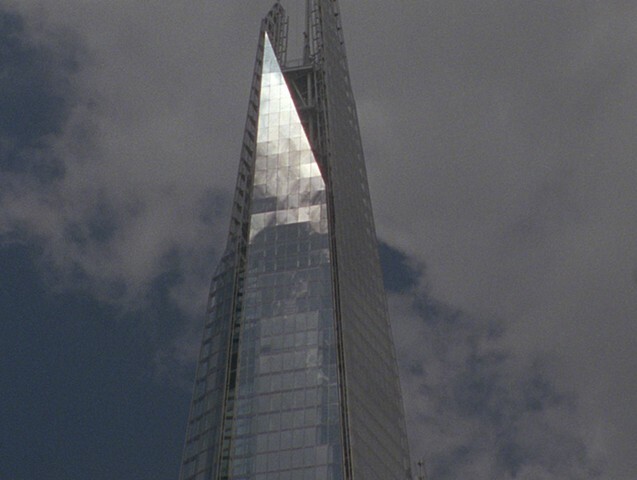 The film is a meeting of 16mm film and an ultramodern subject - the Shard skyscraper, at the time of filming the tallest building in the European Union. Shot like a test roll of 100 ft, the film uses changes in exposure and multiple exposures across a series of static views of the Shard, pushing the image into different levels of appearance and disappearance.